Do college athletes want to hear from fans via social media? 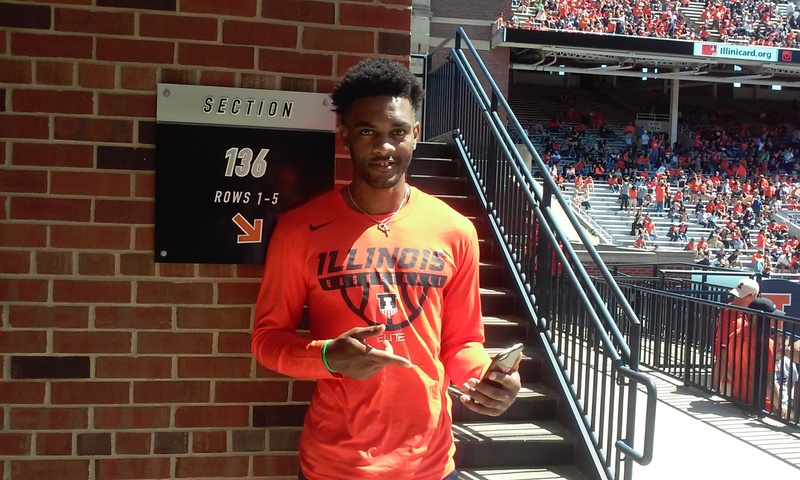 “I definitely do,” says Mark Alstork, the graduate transfer projected (in social media) as Illinois’ top scorer for the upcoming season. Alstork came to Illinois, he said, because it gave him the best opportunity to move up on the NBA draft board. That’s his goal. He says he was a projected second round pick after the 2017 season, where he was the leading scorer at Wright State. He’d prefer to be drafted in the first round, where the contracts and money are guaranteed. Alstork thinks Illinois can help. He particularly believes that you can help. Alstork says NBA scouts are interested (as are talent scouts across the entertainment industry) in prospects who have a large following on social media. That makes sense. People buy tickets to see their favorite stars. When MySpace was still relevant, it was the favorite website of talent buyers, the people who decide (as the name implies) what talent to buy. i.e., which musical group, circus, rodeo, etc. is likely to fill a room. If a band from Boulder had a million MySpace “adds,” it seemed like a safer bet to a guy booking a club in Boston, who’d otherwise never heard of that band. Mark Alstork has done enough research to know that NBA scouts have adopted this mindset. Consequently, he wants you to follow him on Twitter (@Mark_Alstork). But that’s not all. “Mark_Alstork24 is my Instagram. Snapchat – malstork” he reports. So get out your phones, copy & paste, then press Follow. He did you a favor by bringing some scoring punch to your favorite basketball team. This is your opportunity to reciprocate. Mark Alstork wants you to take your phone out & Follow him. He looks forward to interacting with you. This might seem like an audacious request, but his tone is not boastful. It’s strategic. Alstork is curious to learn how systems work. For example, his projection as a starter and top scorer: “How do people decide that?” he asked. “Who picks the starters?” He’s genuinely curious about rumors & speculation among fans and media, and their grounding in reality. And despite playing NCAA basketball for four years, he’s still perplexed by, and trying to understand, some of the more obscure NCAA rules. That should make him super popular with Illini fans, who’ve been trying to reckon the NCAA since before Alstork was born. He’s a sharp guy, and he’s motivated. So it’s just possible that he’ll succeed where others have failed. If he figures them out, he’ll probably be willing to explain the NCAA to you, possibly at an individual level. But first, you must Follow him. So go to it.